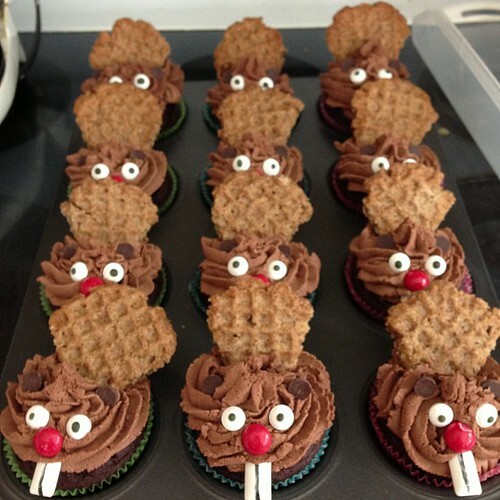 "Beaver cupcakes for Will's Barking Beavers ski team." Image courtesy Alison Henry. Now those are real men cupcakes. Heh, not sure where those cupcakes would be without the eyes. But the amateurishness of it gives it a cute factor.